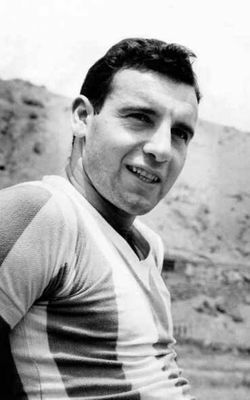 Since Milos ask feedback to complete his set of Marcovecchio, i was able to find a nice source called "Las Viejas Glorias de La Academia" it has nice info about players that played for Racing(since his creation until 2011) i will try to do some older players, but i will try to be cautious since the author of this texts, seems that it is a sick fan(in the good way) of Racing, so many texts highlight alot these old players, but mostly of the time have a point. So i think that i can create some of the missing players of his AS Team. Is this a book or something? Yeah it's an old sports supplement that came with an old journal, I loan it from his owner to read a bit of it. It haved nice info, nothing to extensive but at least enough to have a proper picture of how players were. I take notes from it to create/update some of my sets.